Moyog River restoration is part of efforts to keep communities who live nearby its banks motivated in making a difference. This movement which has been started a year ago is on its right momentum with the third activity planned was carried out on Saturday. The programme was conducted by Community-Led Environmental Awareness for Our River, or CLEAR with the assistance of the Sabah Environmental Action Centre (EAC). A talk on waste management for the Kampung Terawi community and a gotong royong by communities was held during the programme. CLEAR chairperson, Winnie Jimis said they are intend to continue with what they have started since they have received positive reponse from the villagers. She also added a new area under the Divato Village Security and Development Committee upstream of Kampung Tagad will take part in the effort by launching a campaign on river cleanliness next month. 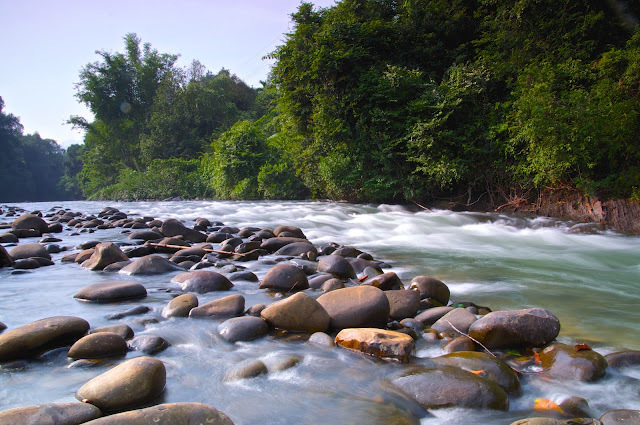 Moyog River is listed as polluted due to indiscriminate dumping of household waste, and can no longer be used as a source for drinking water the way it was in the past. It is also the end point for large drains that flow from shops and housing estates. However, Winnie believed the Moyog River can be restored if they keep running the restoration programmes. Meanwhile, a jetty at Kampung Kuai will be opened to the public for bamboo raft cruising at RM3 per person and another jetty is under construction at Kampung Kodundungan with funding from Penampang Member of Parliament Tan Sri Bernard Dompok.